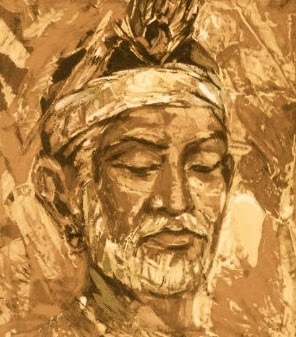 "07" ["Hiding in this cage"], attributed to Kabir, from Beloved, May I Enter: Short Poems. Translated from the original Hindi by Sushil Rao. © Hrdai Press, 1996. 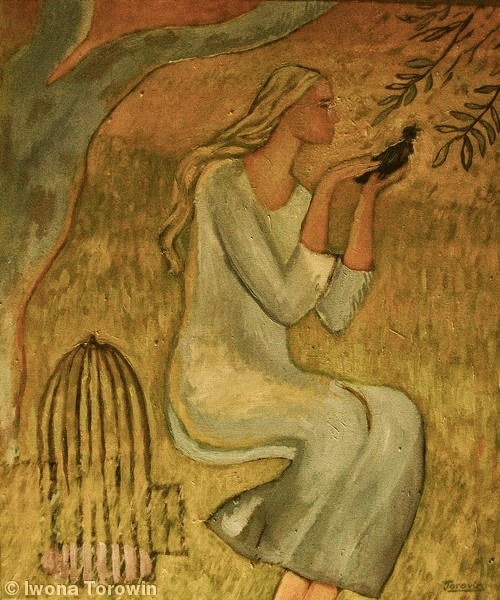 Art credit: "Bird, Cage and the Girl," oil on canvas, by Ivona Torovin (originally color).